Welcome to the News Room for Advanced Aesthetic Surgery. By providing thorough, honest guidance, board-certified plastic surgeon Dr. Thomas Lintner strives to help individuals considering cosmetic surgery find the procedure(s) that can benefit them most and best meet their aesthetic goals. This page features several press releases containing valuable information and advice from Dr. Lintner and his practice. 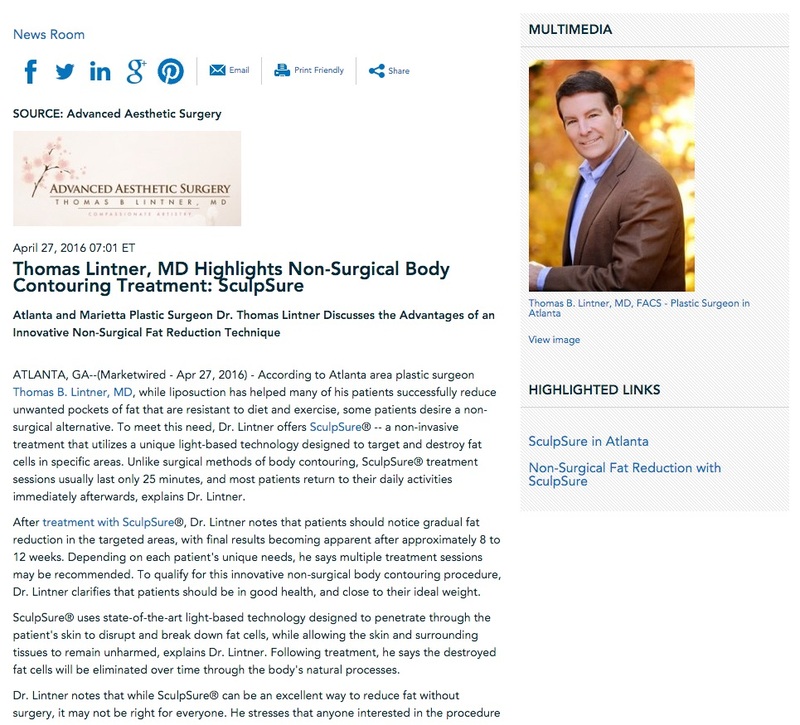 The releases are intended to assist the public in learning more about procedures, advancements in technology, and upcoming promotions and events at Advanced Aesthetic Surgery. Feel free to contact us if you have further questions, or if you wish to schedule a consultation. 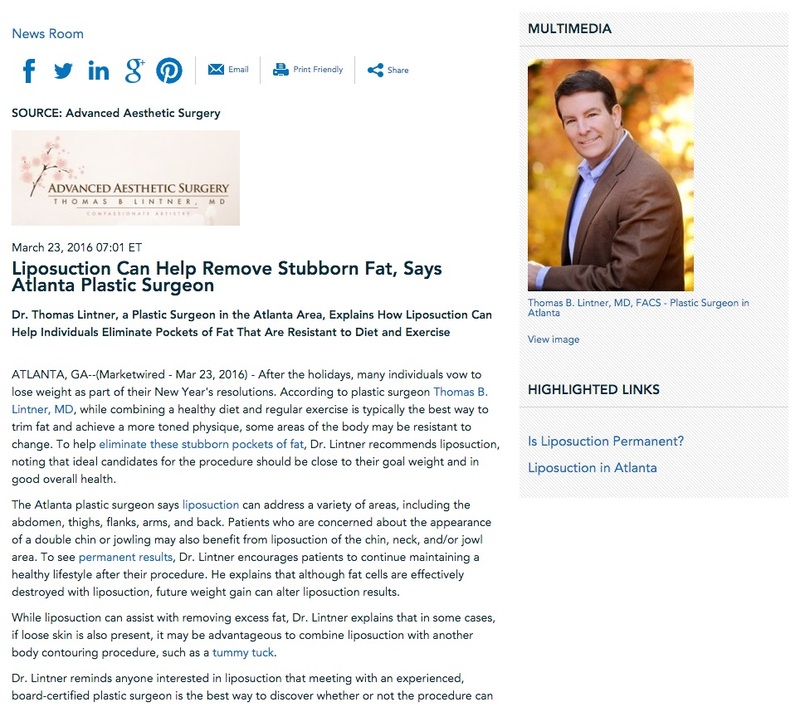 Atlanta and Marietta plastic surgeon Dr. Thomas Lintner discusses the advantages of an innovative non-surgical fat reduction technique. 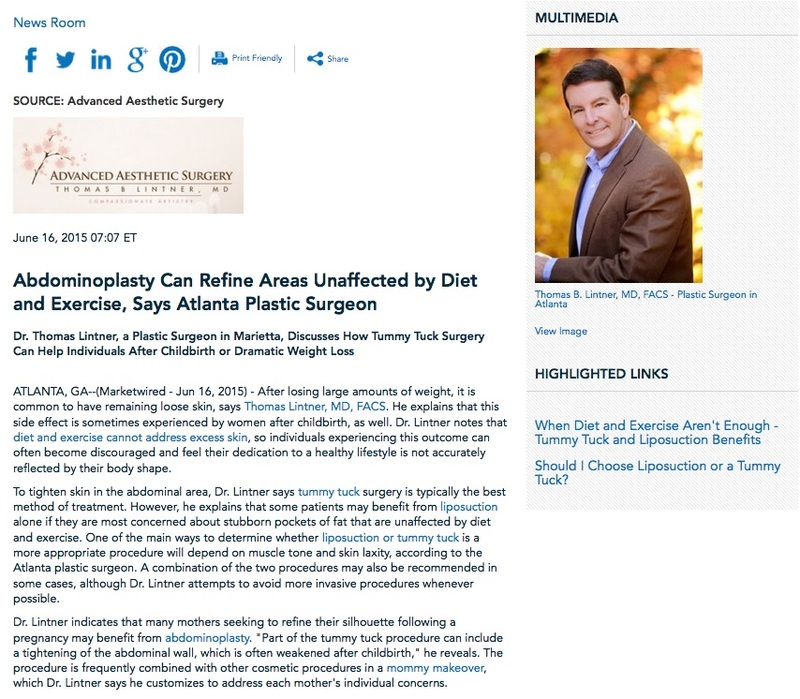 Dr. Thomas Lintner, a plastic surgeon in the Atlanta area, explains how liposuction can help individuals eliminate pockets of fat that are resistant to diet and exercise. 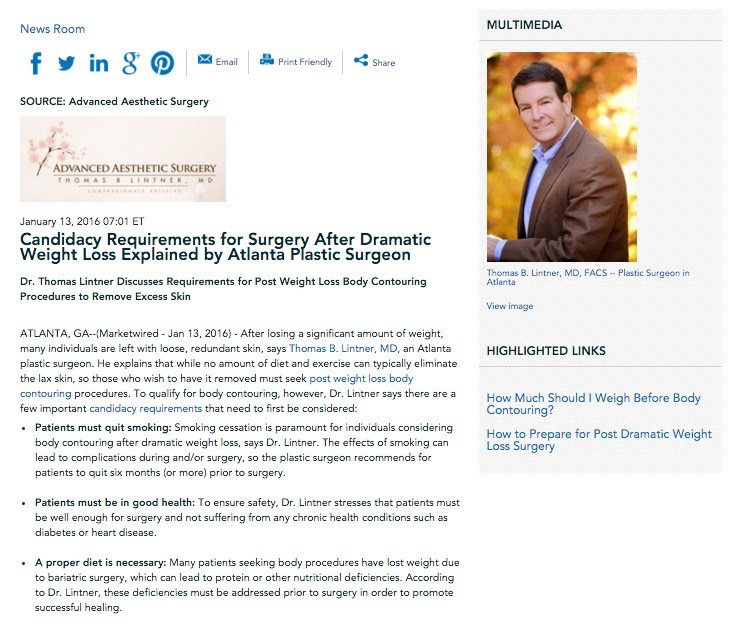 Dr. Thomas Lintner discusses requirements for post weight loss body contouring procedures to remove excess skin. 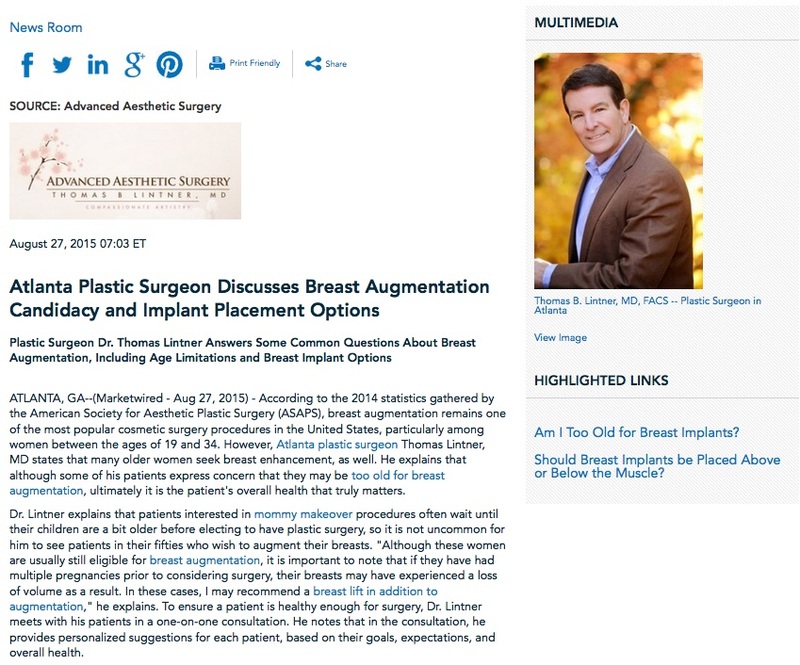 Plastic surgeon Dr. Thomas Lintner answers some common questions about breast augmentation, including age limitations and breast implant options.